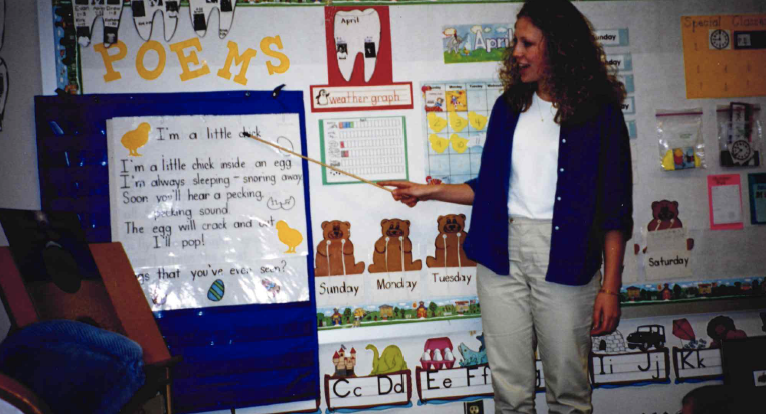 Educator Kirsten Parr shares her rural district's selection story and the ways she and her team learned and changed with the support of EdReports.org. My life changed in 2013 when I moved my family back to my husband’s childhood home town in a small, rural Illinois community called Mason City. I had been a teacher for 13 years when we relocated, and even though I was a seasoned educator, I was thrust into a situation I wasn’t prepared for. I was a first grade teacher in a tiny district where 45 percent of the students are low income and all receive free and reduced lunch. Our school faced difficulties due to a lack of resources and low capacity coupled with high teacher turnover and the challenges our students endured at home. What’s more, Illinois had recently adopted the Common Core State Standards but the resources and instructional materials to meet those standards had not yet reached our district. Despite smart, dedicated teachers and leaders, our roadmap pointed us in so many different directions that it was paralyzing. I remember thinking that time was standing still. But of course it wasn’t. Time marched on; our students were just getting left behind. The following autumn I began my work with the district as the Director of Teaching and Learning overseeing a wide range of responsibilities from assessments and curriculum to student supports and professional development. Even though there was no shortage of challenges to tackle, I knew the very first item on my list was getting high-quality, standards-aligned materials into every single classroom. I had learned from personal experience that great materials supporting teachers and students would be the foundation for almost any success we achieved. I remember thinking that time was standing still. But of course it wasn’t. Time marched on; our students were just getting left behind. But honestly, I was at a loss. I wanted to approach adopting a new curriculum in a different way than I’d seen in other districts where schools were forced to rely on sales pitches from publishers for information about any program they considered. I wanted a source that was independent, credible, and alignment-focused that could provide in-depth data about all the materials available. Did such a thing even exist? So what did I turn to next? A Google search. I eventually stumbled upon EdReports.org and had no idea how much this discovery would ultimately impact my school, my students, and my own life. I was immediately attracted to the organization’s “by educator, for educator” approach. Educators—just like me— who had deep content knowledge and understanding of the standards and shifts designed all the rubrics and used them to conduct painstaking reviews of hundreds of materials. The organization recognized that the people most qualified to evaluate materials were the teachers that spend every day working with them. The sheer amount of data I encountered was impressive. The reviews focused first on alignment to the standards before evaluating for usability and design which meant that my district could narrow its options and ensure that the programs we looked at more deeply already met a baseline for quality. EdReports’ format made it easy for me to present my superintendent with options backed up by evidence rather than gut feelings about a program. The organization recognized that the people most qualified to evaluate materials were the teachers that spend every day working with them. When I accepted a role with the district it was always with the intent to make wholesale improvements to what was happening in our classrooms. EdReports was invaluable to this effort by ensuring that my district—already strapped for capacity, but no less concerned with providing our students with quality content—had access to free, credible information about what high quality materials were available. EdReports’ reviews became our primary resource as we adopted new math materials. Not only were we able to identify better math programs across the board, but what amazed me most was how diving into the criteria and the indicators changed the way educators in the district were thinking about materials all together. Our conversations turned from angles and vertices to what rigor and mathematical practices looked like in instructional materials. Our discussions focused on the difference materials can make if we ensure they are standards-aligned, cohesive, and meet the needs of all students. It’s been five years since my family experienced the upheaval of moving, changing jobs, and joining a new school system. We’ve had a chance to settle into our new lives and embrace all the ways we’ve grown and evolved as a result of tackling difficult situations head-on. It’s no different with the changes in my district. My team and I went through our own growing pains in pursuit of better content for our students. We had to learn to think in new ways, take a different approach, and use new resources. Yes, we still face issues with curriculum implementation, student poverty, low capacity, and teacher turnover. But we’ve also seen the tremendous strides students have made as a result of dedicated educators committed to using the best instructional materials possible. Today, every school in my district is using an aligned math K-5 program. A district’s transformation doesn’t happen overnight, but my experience in Mason City proves that positive change is possible when you have good data and great people. Educator Jennifer Johnson offers advice to small school districts about how to use EdReports reviews to increase capacity and adopt high-quality instructional materials. Educator Carolyn Glicklich reflects on how having great materials allows her to focus time and energy on differentiation and engagement.